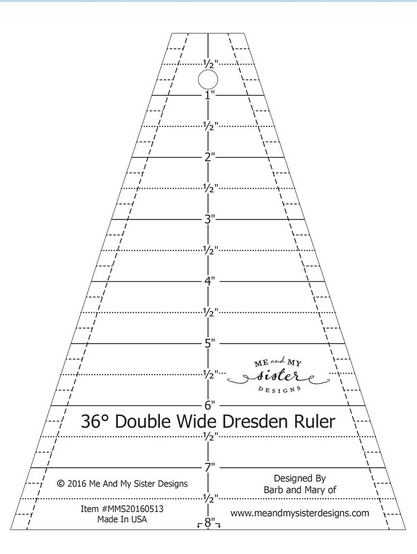 DESCRIPTION Our fast fun and easy ruler makes Dresden Plates in half the time. This 36 Degree ruler allows you to make Dresden plates using 10 wedges instead of the traditional 20 that other rulers use. Twice as Fast! Make Dresden Wedges in half the time with no raw edges while creating a secondary star pattern in the center. Markings from 1/2in up to 8in finished block sizes.